A golden parachute, in mergers and acquisitions (M&A)Mergers Acquisitions M&A ProcessThis guide takes you through all the steps in the M&A process. Learn how mergers and acquisitions and deals are completed. In this guide, we'll outline the acquisition process from start to finish, the various types of acquirers (strategic vs. financial buys), the importance of synergies, and transaction costs, refers to a large financial compensation or substantial benefits guaranteed to company executives upon termination (from a merger or takeover). Benefits include severance pay, cash bonuses, and stock optionsStock OptionA stock option is a contract between two parties which gives the buyer the right to buy or sell underlying stocks at a predetermined price and within a specified time period. A seller of the stock option is called an option writer. The term “golden parachute” was first used in 1961. Charles C. Tillinghast Jr., former president and CEO of Trans World Airlines, was credited as the first golden parachute recipient when the company was trying to get control away from Howard Hughes. In case Hughes regained control of the company and fired Tillinghast, the company gave Tillinghast a clause in his contract that would provide him with a substantial amount of money if he were to lose his job. The employment contract of Colin, the CEOCEOA CEO, short for Chief Executive Officer, is the highest-ranking individual in a company or organization. The CEO is responsible for the overall success of an organization and for making top-level managerial decisions. Read a job description of Company A, includes a golden parachute clause that guarantees him $100 million in severance pay, stock options, a retirement package, and medical benefits if he is terminated. Due to fierce competition from rival companies, Company A gets taken over by another company and the management team at Company A is replaced. Colin, who is now forced to leave the company, will be able to reap the benefit of having the golden parachute clause in his employment contract. 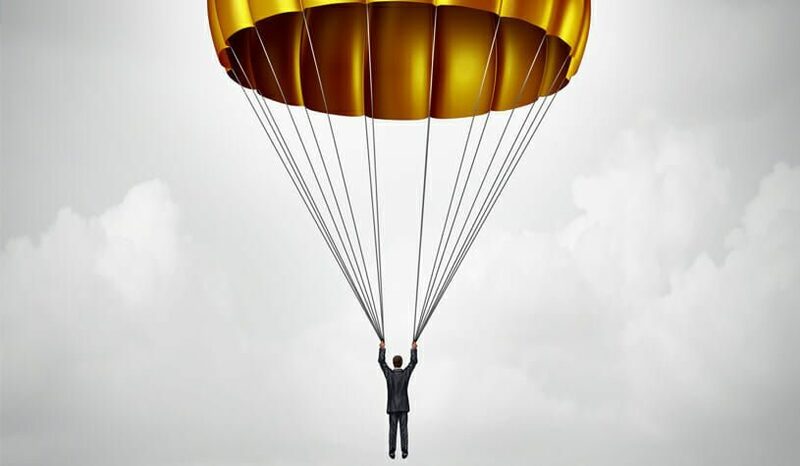 Hire and retain top talent: Golden parachutes are used in attracting top talent. Executives want security – especially if the company is in an industry prone to M&A or if the company experiences a high executive turnover rate. Offering golden parachutes widens the pool of applicants and attracts high-level employees. Reduce/Remove conflict of interest during a merger: Often during a merger, executives are nervous about their job security and can be tempted to delay or sabotage the merger through defenses such as a poison pillPoison PillThe Poison Pill is a structural maneuver designed to thwart attempted takeovers, where the target company seeks to make itself less desirable to potential acquirers. This can be accomplished by selling cheaper shares to existing shareholders, thereby diluting the potential equity an acquirer receives, crown jewels defenseCrown Jewel DefenseA crown jewel defense strategy is when the target company sells off its most valuable assets to reduce its attractiveness to the hostile bidder. A crown jewel defense is a mergers & acquisitions (M&A) takeover defense strategy where the target company sells off its most attractive assets so the acquiring company, or Pac-man defensePac-Man DefenseThe Pac-Man Defense is a strategy used by targeted companies to prevent a hostile takeover. This takeover prevention strategy is implemented by the target company turning things around by trying to take over the acquirer. The purpose of the Pac-Man Defense, as with any defensive strategy against a hostile takeover, is to make a takeover very difficult Example of pac-man defense. A golden parachute guarantees compensation in the event of job loss. This encourages executives to work for the best interests of the firm rather than being preoccupied with their own financial security. Reduce hostile takeovers: Competitors looking to acquire a company with golden parachutes for its top executives may think twice about engaging in a hostile takeover since they would then be responsible for paying out the extravagant termination packages in the event of taking control of the company and replacing the existing management team. Require the company to pay a lot of money: Golden parachutes require the company to pay substantial benefits and/or a large compensation when executives are terminated. Golden parachute compensation may substantially reduce the company’s bottom line profitability. Moral hazard problem: Knowing that their termination would give them substantial benefits, executives with golden parachutes may feel little to no incentive to do a good job. Executives with a golden parachute may not act in the best interest of shareholders. 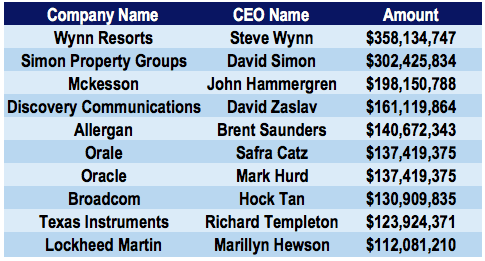 May not deter hostile takeovers: Although golden parachutes may reduce hostile takeovers, they typically make up only a small percentage of the overall cost of a merger. Therefore, golden parachutes may not significantly inhibit hostile takeovers.